Discussion in 'The Studio Lounge' started by AJ_II, Feb 2, 2009. 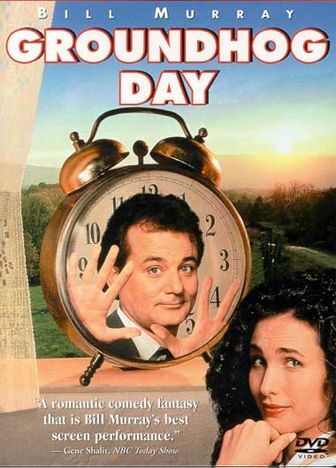 And on a related note, this is probably my favorite Bill Murray movie. Andie MacDowell is a good reason to watch too. Ned Ryerson was the best...BING! 6 more weeks? No thanks. Let's just off that groundhog so we never have to worry about it. Thank godess, six more weeks. You sound like Phil Connors. Is is me or does Phil the Groundhog always sees his shadow? As soon as I save enough money I'm gonna buy a F-150 four door 4X4. I hope they are still cheap this summer when I'll have the cash to buy one with out a loan. I'm sure they will be. Why are you sad? Cars and trucks are cheap right now! Upgrade yourself and turn that frown upside down! I was just about to say that! I don't really remember him ever not seeing his shadow. But really, has spring ever started in Febuary North of South Florida? I saw spring start in Tennessee in March one year. Then it froze hard on April 2nd and 3rd and all the leaves turned black and fell off the trees. The trees looked f'd up the rest of the summer. So maybe early spring is a bad thing. I seen some trees around my area starting to blossom. So early spring for Arizona? Every local knows if you want a truck to last more than two years in LAKE TAHOE it has to be a Toyota. The fact Chevy even used that name is downright embarrassing. 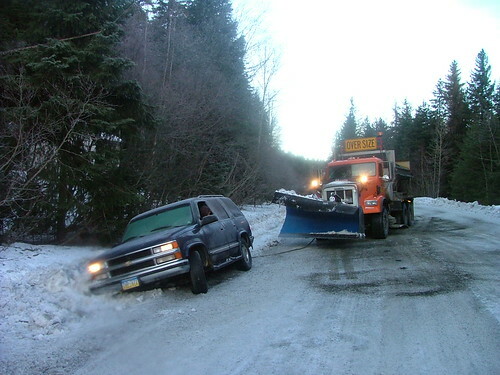 But my Alaskan friends agree, 'merican trucks dont cut it on real snow. Yeah, I would agree with your pals. If I'm going to buy a truck, it's going to be a Toyota. Actually, if I was going to buy ANY vehicle, it's going to be a Toyota. I HATE Andie McDowell. She puts the ugly in fugly. PS, Andie McDowell is hot! In a wholesome, small town, girl next door kinda way. It would be double hot if she was a total freak in bed!